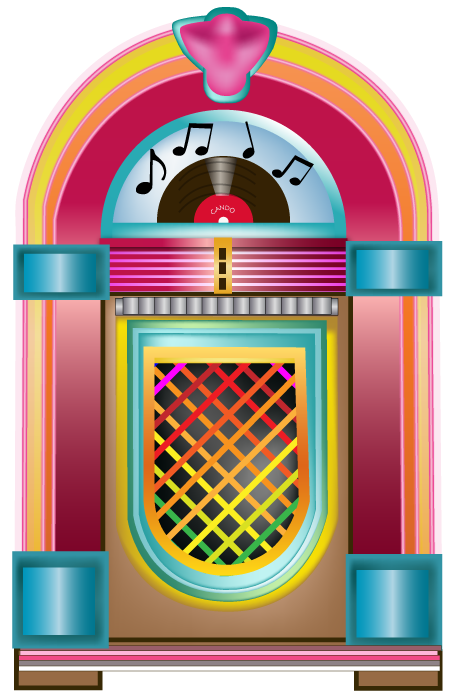 The CANDO Jukebox will showcase songwriter’s songs and contact information of those songs for those wanting to record them. The Song is the most powerful communication vehicle known and these songs will be fun, inspirational and educational. On this site find the editor’s spotlight pick of the week, as well as K through 12 CANDO Curriculum Connection specialties for educational uses. Enclosed are excerpts from research data that supports the powerful effects of music on humans and cultures since the beginning of time – music’s effect on our brains, our feelings and emotions, our learning capabilities, and our motivation and ability to achieve. Music helps students retain information. Music boosts perceptual and spatial skills. Music can create and activate “prior knowledge” (or “hooks” in the mind, upon which students can attach new materials, make it easier to digest new information, and aid in recall of information on a given subject. A growing body of scientific evidence suggests there is a causal link between music and intelligence. Re: the Neurobiology of music, there is direct evidence that music stimulates specific regions of the brain responsible for memory, motor control, timing and language. More than 80% of all information processed by the brain comes in through our ears! The brain commonly stores information with mental strategies, such as rhymes. This is an invaluable way for the brain to remember and recall information. When rhymes are added to music, a powerful teaching tool is born: A Song. Advertisers utilize songs and musical techniques with clever jingles to help us remember their products. Songs have historically been used as effective vehicles to help students remember information – beginning with the ABC Song! Educators know that songs can play a vital role in the formation of character traits. Research over the past 30 years has proven a causal connection between negative song lyrics and negative behaviors. Conversely, songs that communicate character-building thoughts and ideas have a positive impact on the minds and behaviors of students. Well constructed songs written in popular genres and utilized in the classroom can maximize the imprinting of information to help students learn, remember, and make more positive life choices. Songs containing rich, lyrical, value-driven content, high quality music production and messages that address issues that directly affect youth are exceptionally strong educational tools. Today’s complex world and its issues such as drugs, alcohol, crime, violence, divorce, A.I.D.S., and issues relating to the environment, deeply affect our children. We, at CAN DO! Records, take a responsible position in the multimedia music industry by addressing some of these important issues that so shape the lives of today’s youth. 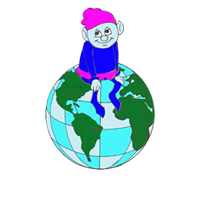 To that end, we have created a special catalog of “Issue” songs written to develop positive character traits by imparting positive information to children through music. For example, the song entitled “WANNA SMOKE? WHAT A JOKE!” tells about the dangers of smoking. “DRUGS? UGH!” addresses the issue of drugs to the very young child, and gives a warning not to try drugs. The beautiful song entitled “SING LOVE” is written from the perspective of a child living with A.I.D.S. All of our CAN DO! catalog songs are written with the utmost sensitivity to children. The youth of today will enjoy quality music and simultaneously receive valuable information to help guide them into making responsible decisions and choices that will affect them throughout their lives. “A STRANGER CAN BE DANGER”. This song addresses personal safety and empowers children with vital information to help them stay as safe as possible should they ever be faced with a “stranger-danger” situation. Our goal at CAN DO! RECORDS, is to produce the finest quality music and to incorporate positive themes that encourage the achievement of one’s highest potential. Long before the lyrics to “Twinkle Twinkle, Little Star” were written, children across France sang the words you see above to the same tune. Seventeen-year-old Wolfgang Amadeus Mozart must also have been familiar with the song, since he used its melody as a starting point for his playful, ever expanding Variations on Ah! Vous dirai-je, Maman (K. 265). Music speaks in a language that children instinctively understand. It draws children (as well as adults) into its orbit, inviting them to match its pitches, incorporate its lyrics, move to its beat, and explore its emotional and harmonic dimensions in all their beauty and depth. Meanwhile, its physical vibrations, organized patterns, engaging rhythms, and subtle variations interact with the mind and body in manifold ways, naturally altering the brain in a manner that one-dimensioned rote learning cannot. Children are happy when they are bouncing, dancing, clapping, and singing with someone they trust and love. Even as music delights and entertains them, it helps mold their mental, emotional, social, and physical development — and gives them the enthusiasm and the skills they need to begin to teach themselves. Music and movement – Music and moving the body informally help provide children with a physical outlet. Soothing music can ease fears and anxiety, whereas dance music can help children develop motor skills, be silly and have fun. Singing helps children integrate new words into their vocabulary and experiment with speech patterns. Take advantage of young children’s love for music and movement. The activities will help them work off excess energy, develop a love of music, and become more creative! National Network for Child Care – NNCC. Morse, N.
Kids Songs? Why Can Alzheimers Victims Remember Kids Songs? The songs you choose for your kids to hear will have much more impact on their lives than you realize. She could sing every kids song on the recording she had listened to 60 years ago. When doctors explain differences between short and long term memory, what becomes clear is that our abilities as children were special. Our brains were wired differently, and our perception was instinctive. We were powerful learning machines. She not only remembered the lyrics to every kids song, but the melody was precisely imprinted as well, and she knew it all by heart – all the minor details, every dynamic and stylistic change. But she could not remember what she had for lunch. There’s something truly amazing about long term memory – being able to recall distinct events from one’s youth with clarity. As we age, we lose many of these old recollections, but some remain with a vividness that is astonishing. And for many individuals, this long term memory is imprinted in ways that make it more durable than the short term memory of daily events in the present. And after each kids song ended, her memory was so good that she could announce the next one, singing each in the order it appeared on the recording through all 16 songs. Yet she was unable to recognize her own daughter. This poor woman’s story has a powerful message that those of us who write for children must acknowledge. It is clear that kids’ minds are special. That kids are empowered in ways that adults are not. Young children far surpass their parents in the ability to learn new languages, melodies, and other audio stimuli. If we recognize these unique abilities of young minds, as creators of music and songs for kids, we take on some special responsibilities. We must make an effort to never underestimate the intelligence of the child. It is our duty, when creating kids songs to implant smart ideas, and to encourage discovery outside the box. Those littlle ears are taking it in and learning it cold. Perhaps 60 years or more later, they will still remember what we piped in when they were young. So yes, it’s kids songs. And these kids songs are more important than you realize. Rattling around in our brains are all those unique memories associated with melodies, implanted at a time when we were better able to handle cognitive stimuli. And when over time, we forget everything else, we’ll probably still be singing some kids songs. We want them to be worth remembering. Classroom teachers observe that when music is added to a lesson, students retain more of the lessons than when no music was used. There is a growing body of work that affirms these observations that support the value of music in the curriculum. Music education provides opportunity to learn academic skills. CEMREL, Inc., an educational research firm, reports that in 67 specific studies in California, student achievement in reading, writing and math improved when the arts were included in curriculum. (Milley, Buchen, Okerlund & Mortarotti, 1983). Music education allows disabled students to achieve significantly. Low achieving readers: In a study (of more than 13,000 students and 43 schools) the ESEA Title 1 Evaluation Report for the Wichita Program for Educationally Deprived Children found gains were made in the corrective reading program when music was used in the reading curriculum. Music is often an integral part of the preschool and kindergarten child’s school experience. But what happens in first grade and beyond? The increased focus on academic curriculum standards often makes it more challenging to integrate music into classroom lessons. Luckily, with a little creative planning, music can actually serve as the method to teach selected curriculum units. In this context, music is viewed as a multi-sensory approach to enhance learning and retention of academic skills. just one of many types of instructional approaches. 2) The music activities used will directly carry the curriculum content that the student is to learn. For example, if the student is to add single digit numbers, the lyrics to the educational song or chant will deal directly with that target skill. 3) Research supports the use of music as a mnemonic device for the learning and recall of new information. Music also plays a role in focusing attention and providing a motivating environment for learning. In addition, educational research confirms that we learn and retain information better when we find it interesting and meaningful. — Lyrics to a song are given as a reading assignment. When they are able to read it correctly and fluently, the students get to sing the song out loud. Examples: On Top of Spaghetti, Yankee Doodle, and other picture storybooks. then utilize comprehension skills to discuss what the song is about and draw inferences as to what may happen in the next verse. Unfamiliar vocabulary can be discussed. Example: Puff the Magic Dragon. Claussen, D., & Thaut, M. (1997). 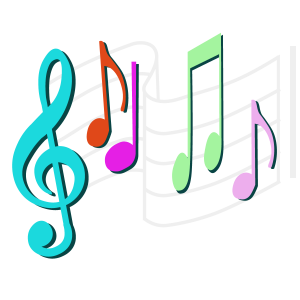 Music as a mnemonic device for children with learning disabilities. Canadian Journal of Music Therapy, 5, 55-66. Colwell, CM. (1994). Therapeutic applications of music in the whole language kindergarten. Journal of Music Therapy, 31(4), 238-247.
disabled students. Journal of Music Therapy, 20(4), 179-189.
readers. Educational Psychology, 13, 19-26.
as mediators of text and song recall. Memory & Cognition, 28(5), 700-710.
to memory and attention. Journal of Music Therapy, 27(4), 195-208.
writing. Journal of Music Therapy, 38(3), 239-248. Standley, J., & Hughes, J. (1997). Evaluation of an early intervention music curriculum for enhancing pre-reading/writing skills. Music Therapy Perspectives, 15, 79-86.
of sequential verbal information by preschool students. Journal of Music Therapy, 30(2), 100-118.
consultation, workshops and training seminars nationally for educators in both special and regular education classrooms. Music at Colorado State University. Her publications include a chapter in Models of Music Therapy Interventions in School Settings, 2002 edition by Brian L. Wilson. Music is the stimulus to introduce students to an educationally sound Curriculum Connection that reaches EVERY student in your classroom with songs that address “choice” issues! © 2015 CANDO Jukebox. All Rights Reserved.